The name for this ten-barrel brewery and pub accurately reflects the opinion of both thebeerchaser and his spouse on this pub. While we have had ample disagreement on the quality and ambiance of prior bars on the tour, both of us were united that the Coalition Brew Co. Pub is a gem. Their website accurately describes it as an, “intimate neighborhood gathering place with the feel of a traditional public house.” It seats about twenty-five inside and has dark, classy woodwork for the bar and tables. The front wall is essentially a garage door that opens so people can sit outside weather permitting, and there is also a small beer garden. Historical pictures of their brewery and Portland decorate the walls and enhance the ambiance. 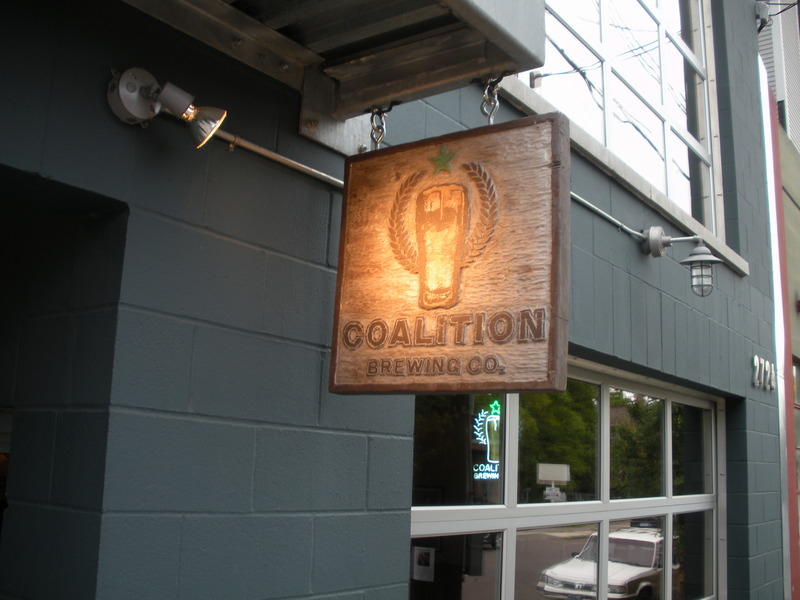 There were seven of Coalition’s own beers on tap including our favorites – ironically, in inverse order of their alcoholic content! The Loving Cup Maple Porter may be better suited to a bucket hanging from a tree in Vermont on a cold winter day. Because its menu is extremely limited, The Coalition partners with the Grilled Cheese Grill (GCG) located in their small beer garden. 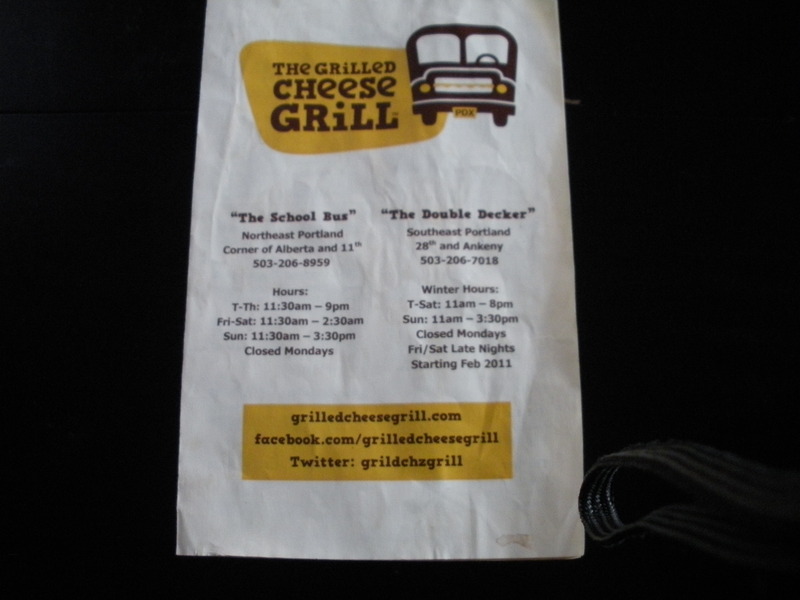 An extensive menu of grilled cheese sandwiches and cheeseburgers is available. For example, “the Jalapeno Popper” is roasted jalapeno, Colby jack, cream cheese and corn tortilla chips on sourdough – you can also add ham for $1.75. Or you can simply choose “The First Grader” which is one slice of white, one slice of wheat with Tillamook, Cheddar and American cheeses. Order a bowl of tomato soup for $2.50 and memories of Ted and Sally, Boots and Tuffy and the swing set at your grade school come flooding back – except that you drank milk instead of beer with your lunch! The pub features new beers where home brewers are selected from the community and featured on a specialty tap to showcase each Coalator. This entry was posted in Brew Pubs by thebeerchaser. Bookmark the permalink. Delighted to hear that George Jones is your favorite country singer. Did you see him at the Schnitz a few years ago? The voice is losing steam but his heart filled the auditorium. By the way, you should try the Muddy Rudder Pub in Sellwood (on Tacoma just East of the Sellwood Bridge). Great bluegrass band 1st and 3rd Wednesdays. 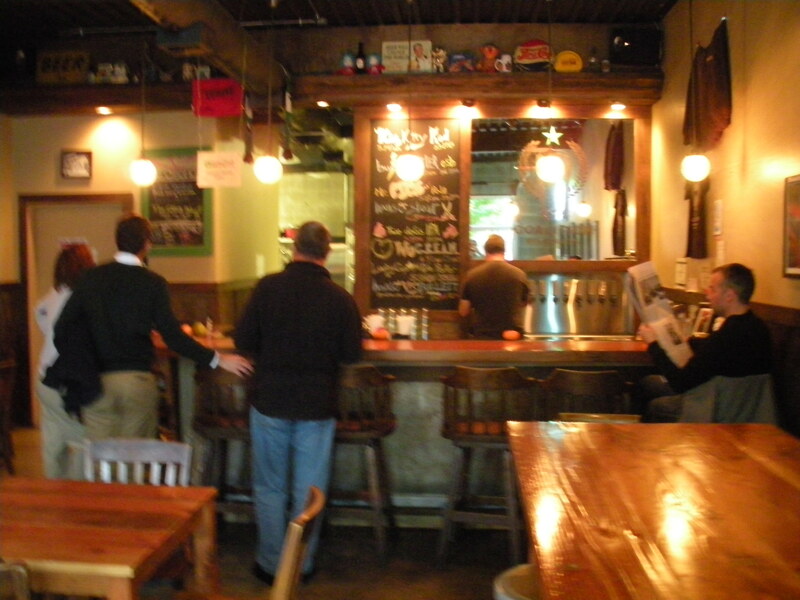 The place has a great neighborhood feel and a wide range of fabulous brew on tap. Keep up the good work, Beer Chaser!! I missed him, but be assured that the next time he is anywhere on the West Coast, thebeerchaser is there!